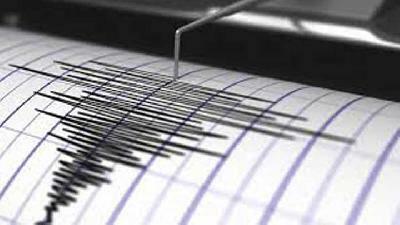 TEMPO.CO, Jakarta - A magnitude 6.5 Richter scale earthquake hit the Northwest waters of West Halmahera in North Maluku during the early morning of Monday at 00:27 Western Indonesia Time. 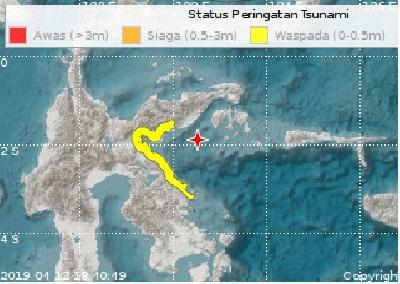 Fortunately, the earthquake will not trigger any potential tsunami as announced by the Meteorology, Climatology, and Geophysics Agency (BMKG) through its Twitter account @infoBMKG. The exact coordinates of the earthquake is traced back to 2.36 North Latitude and 126.74 East Longitude that is 146 kilometers offshore of West Halmahera. 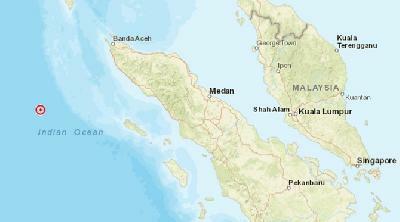 BMKG reported that its epicenter was from 10 kilometers-deep beneath the ocean. Despite no tsunami potentials, BMKG strongly recommends local residents stay alert and beware of potential aftershock that could probably strike again. 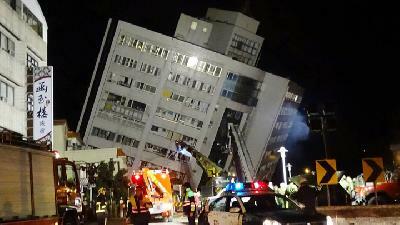 The number of casualties and damages remains unknown up until this news was published.